The Academic Hospital Paramaribo (AZP) is the largest and most modern hospital in Suriname. The AZP was founded march 9, 1966 as a central hospital and was changed into the Academic Hospital Paramaribo in 1969 gaining its university status. The current staff consists of about 1700 co-workers. The AZP Hospital has a 470 bed capacity. On a yearly basis 20.000 patients are hospitalized, while about 176.0000 out-patients visit the hospital. We greatly appreciate AZP commitment to Medical and support to our organization, GNU Solidario. We are working with AZP to initially provide specific functionality in pediatric care and cardiology. This is a clear example on how large hospitals can collaborate to Free software, where the rest of the world will also benefit. The following is the complete / uncut transcript of the interview I got from Nicoleta Gherlea in 2010 when I was named top OpenERP contributor. Hope and dignity for the children in developing countries. R.S. 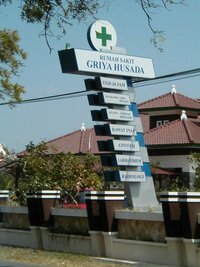 Griya Husada Madiun Hospital, in Madiun City (Province East Java Indonesia) is the latest hospital in Indonesia that have adopted Medical , the Free Health and Hospital Information System. This is the third hospital in Indonesia in this year that installs Medical. It's very rewarding to know that many health centers around the globe are using Free Software for the sake of their habitants. Thanks to Riza Kurniawan, part of the team of Medical in Indonesia, who has implemented in this hospital, and just translated the homepage to Bahasa Indonesia. Medical 1.0 RC1 released ! I'm happy to announce the first Release Candidate version Medical. This version is the result of over 2 years of hard work, and I see it as the starting point for a modern, scalable Free Health and Hospital Information System. 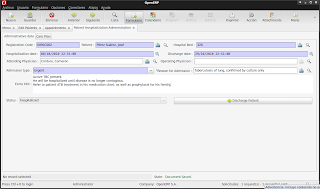 In this version of Medical we have added important hospital functionality like the inpatient admission administration. 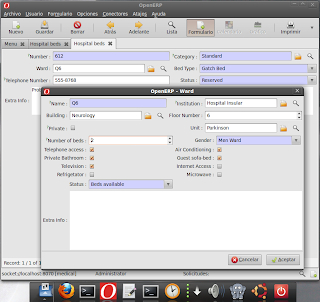 - Graphically manage the hospital or health cernet beds in wards and or rooms. Medical allows to manage bed assignments for different types of admissions (routine, periodic, maternity, emergencies, ..), for the specific hospital department. In this view, it's easy to look for patient's locations and status in the hospital. The colors visually differentiate the type of admissions. We have also improve other sections, like vaccinations. Thanks to Andrew Gledhill (NHS) who proposed the addition of the vaccine lot and expiration date. Actually, the vaccine is integrated to the product, so all the production lot, traceability, and procurement is automated. Special controls for vaccine expiration dates have been put in place now. Just got back from LinuxCon 2010 Brazil, (thank you Linux Foundation for inviting me ! ) where I was the speaker for Medical : Benefits of Implementing a Free Hospital and Health Information System. The event was great, I got the chance to see again my Brazilian friends, like Corinto Meffe, who is doing a great job on the public software portal. 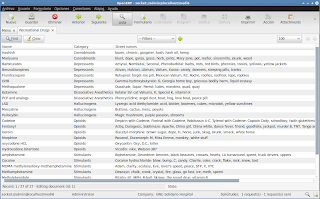 Corinto was the one who included Medical in the community of the Software Publico Brasileiro. 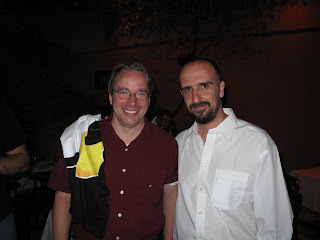 I also talked to Linus Torvalds about the GNU Solidario organization, and the countries we are currently working. I am quite happy with the fact of having LinuxCon in LatinAmerica. This was the first year of the conference in South America and I'm looking forward to see more people and companies of LatinAmerica and Spain next year. You can find the paper and more pics of the event at the GNU Solidario Site or in the new GNU Solidario social network of at Amazee (http://www.amazee.com/gnusolidario). While you are there, just join the team ! Medical (http://medical.sf.net) has been included in the European Commission Open Source Observatory (OSOR). OSOR is the Free Software portal of the European Community to use in the public administrations. Now Medical has a local mirror for Europe, with the software as well as local news. The EU follows the same steps as the Brazilian government, that have included Medical in the Public Software Portal (Portal do Software Publico Brasileiro ), where there is a community (Medical - BR ) dedicated to the Brazilian localization. Corinto Meffe, IT innovation manager from the Brazilian government, will join me at LinuxCon 2010 Brasil, in the Medical presentation "Benefits of implementing a Free Hospital Information System"
Many thanks to both governments to include Medical in their portals and to work on the inclusion of free software in the Public sector. In this new version of Medical, we have improved the installation; the signs and symptoms in the patient examination; and the functionality on health promotion and disease prevention. Medical 0.0.51 has now a "Medical Center profile" that include the most important functionality modules, so you don't have to install one by one. It will be done automatically during the installation. 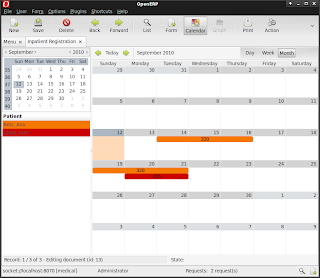 In this version we keep on improving navigation, demo data and reporting. Since 0.0.50 the patient's diseases (including allergies) will be always visible. A new color schema will differentiate and highlight severe and infectious diseases. The diseases are also ordered by different parameters ( active, disease status, severity, diagnosis date, pregnancy warnings, ... ). This design optimizes navigation and the focus on the different aspects of the patient, without missing critical information about the patient. Medical is a free Health and Hospital Information System, with the goal to provide a universal high quality e-Health environment, specially for countries and provinces with low resources. Please download it and report any bugs and suggestions ! 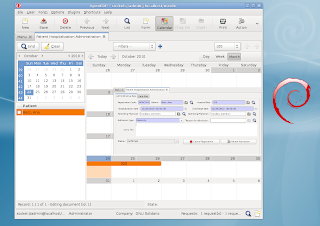 In this release we have optimized the navigation, allergy and basic reports. Here are a couple of screenshots that show some reporting and the navigation in some areas (medicaments and allergies). You can see the relationship between what is in the screen and the report generated. We have also included Panagiotis Kontaxis localization for Greece. Medical is part of the GNU Solidario project ( http://gnusolidario.org/en ) . GNU Solidario is a NGO that delivers education and health solutions with free software. I just created a new DB with some demo data to test and play with. This version is based on SVN rev. 87, with the modular design. Most modules have been loaded. I believe that the best way to test the system is to have a couple of demo Medical Records, with as much information as possible, as well as the institution information. - Mother of 2 infants ( G2P2A0). One premature. Other info : Has traveled to malaria endemic area 4 months ago and did not take any anti-malarial prophylaxis. 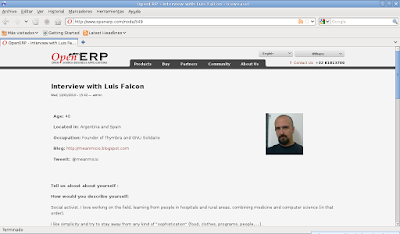 At Thymbra have created a new local Ubuntu local mirror in Argentina. Medical 0.0.48 will represent a major milestone in the development of the HIS. This new distribution greatly improves the development, localization and scalability of the system. Specific teams can work independently in their disciplines, without affecting the rest. Smaller centers won’t necessarily have to install all the modules, just the ones they need. We plan to release the 0.0.48 on this Sunday 25th, with most of the translations in place. Developers can get it from the SVN repository. I have updated the SVN repository, with the new medical schema. The “monolithic” main module has been divided now into the following. There are many that we are working on ( like epidemiology and reporting ) that will be included also shortly. Since next development version (0.0.48), Medical will be more modular. Please make sure you test it and send us feedback. Thanks again to all of you who are making Medical the Universal Free Hospital Information System ! This version includes the basic inpatient (hospitalization), and outpatient functionality. We also have created the main objects that make up the hospital infrastructure (buildings, units, floors, wards, beds ... ). Medical has been awarded the project of the month at sourceforge, and was finalist for best project for government in 2009. Medical is part of the GNU Solidario project . GNU Solidario is a NGO that delivers education and health solutions with free software.